Abstract - The Universities Information Technology Teaching Professionals (UITTPs) with better ICT integration index can have better influence to the graduates’ ICT integration level. ICT integration index levels of University ICT teaching professionals reveal that they would still not integrate ICT at transformative levels .Situational analysis of the UITTPs ICT integration index is the foundation for continuous improvement of the UITTPs ICT integration. Situational Analysis is an important technique in designing progressive systems especially social or socio technical systems. It ensures continuity and therefore improves integrations. 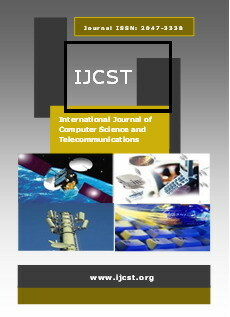 The aim of this study was to determine current ICT integration levels, The study adopted design based mixed research approach by undertaking a desktop research and descriptive survey to identify existing metrics by purposively sampling 3 public and 3 private Kenyan universities Professionals teaching Information Technology and computing departments and chairs of departments. The surveyed findings were quantitatively and qualitatively analyzed descriptively and inferentially using Kendall’s correlation coefficient. Currently UIITP integrate ICT at level III , despite the existence of essential conditions, these University ICT Expert Lecturers would still not integrate ICT at transformative levels. Therefore it is recommended that there is need to continuously support integrators and monitor them . The UITTPs current index of ICT integration can improve the graduates’ ability’s effective use of ICTs. The UITTPs with higher index will expose students to relevant ICT experiences during their teaching while those with low indexes can be supported more through continuous learning. Abstract - Lens-based beamspace mmWave MIMO is proposed for the future 5G wireless systems which can significantly decrease the number of power-dissipating radio-frequency (RF) chains required for channel links without perceptible system performance deterioration. The leakage of beam-power is a considerable issue because the angle-of-departures (AoDs) of channel paths cannot accurately map on the spatial sample points, which results in leakage of one beam power of path into other beams. This consequently degrade the sum-rate and energy efficiency of the system. To overcome this problem, we proposed a novel approach of deploying energy-efficient phase-shifter network (PSN), gain-rotation (GR) and zero-forcing (ZF) algorithms to optimize the spectral efficiency (SE) and energy efficiency (EE) in mmWave Massive MIMO system based on lens-array antennas. The benefit of PSN is that it uses phase-shifters (PSs) which can select multiple beams by using a single RF-chain, whereas in conventional precoder, each RF-chain can select only one beam. The GR-algorithm is proposed in addition to PSN which maximize each user SNR by rotating the channel-gains. Simulation results shows that the proposed algorithms perform much better by improving the system spectral and energy efficiency as compare to the conventional algorithms. The results also validate our proposed analytical formulation. Abstract - The next generation of wireless communications high data rate and link with high reliability became main faetors in measuring the performance of system. Therefore; massive Multiple Input Multiple Output systems (massive MIMO) will be a promlsmg technology for fifth generation wireless communication so it will provide acceptable data rate and high reliability. This paper focuses on eliminating/mitigating the effect of Multi User Interference (MUI) (an interference results from other user in same cell). The MUI has one of the major impact factors in decreasing performance (achievable sum rate) of cellular communication system when more users access to the wireless link. It presents performance comparison of two linear precoding techniques which are Maximum Ratio Transmission (MRT) and Zero Forcing (ZF) for downlink massive multiple input multiple output System over perfect channel state information depending on vector normalization and matrix normalization methods at high and low downlink transmit power. Simulations results show that using linear precoding techniques and increasing number of base station antennas enhance system performance and vector normalization and matrix normalization for ZF gives better performances at high power while vector normalization and matrix normalization for MRT gives better performance at low power. Abstract - Mobile computing is a newest paradigm where applications, records and Information Technology (IT) services are globally provided under supervised environment. Many factors come across as hindrance in its effect. Load balancing is done to attain maximum utilization of resources, highly maximized throughput, minimized response time, and avoid exhaustive load on the system. In this paper, we present a new algorithm for load balancing. Mutual cooperation of static and dynamic load balancing making fault tolerant system with less communication overhead among the nodes. In this research, hybrid load balancing algorithm is devised. File transfer protocol (FTP) traffic over Transfer Control Protocol (TCP) link and constant bit rate (CBR) traffic over User Datagram Protocol (UDP) link is examined. This is performed with the help of simulation software named NS 2.35.